Many dogs are home all day while their owners are busy at work. Miami Natural Pet care provides the exercise and attention your pets need. We now offer a $15 potty break for those on a budget but their dog can’t hold it! If your dog just needs a quick trip outside to do their business try our potty break special! This special requires a booking of minimum 3 services a week. After Hours and Last Minute Visits subject to surcharges. Miami Natural Pet Care offers Dog Walking in Miami Shores, Biscayne Park, North Miami Beach, El Portal, MiMo, Morningside, Upper Eastside Miami, Design District, Midtown Miami, Brickell, Downtown Miami, The Roads, Coral Gables, Coconut Grove and surrounding neighborhoods. 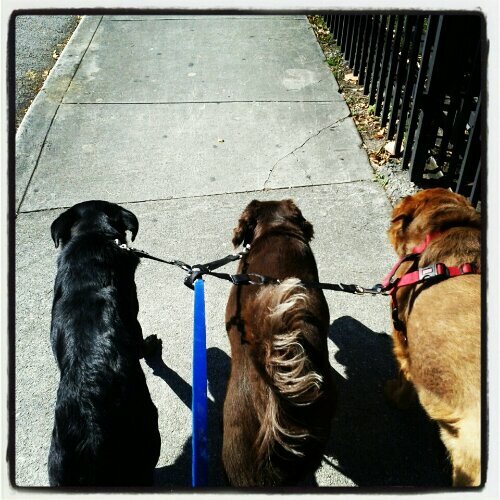 Please Call or email to see if we service your Miami neighborhood for dog walking.